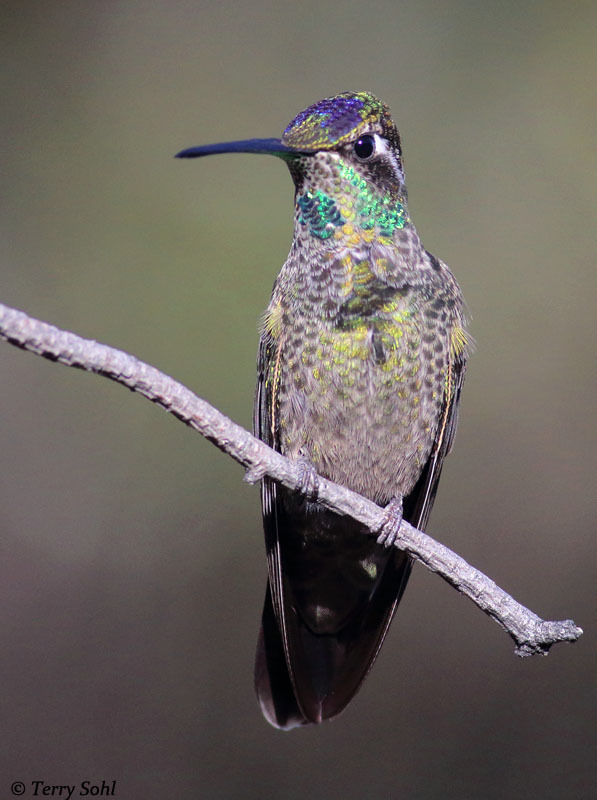 My Favorite: Rivoli's Hummingbirds are a species I've been fortunate enough to see a number of times during vacations in southern Arizona. 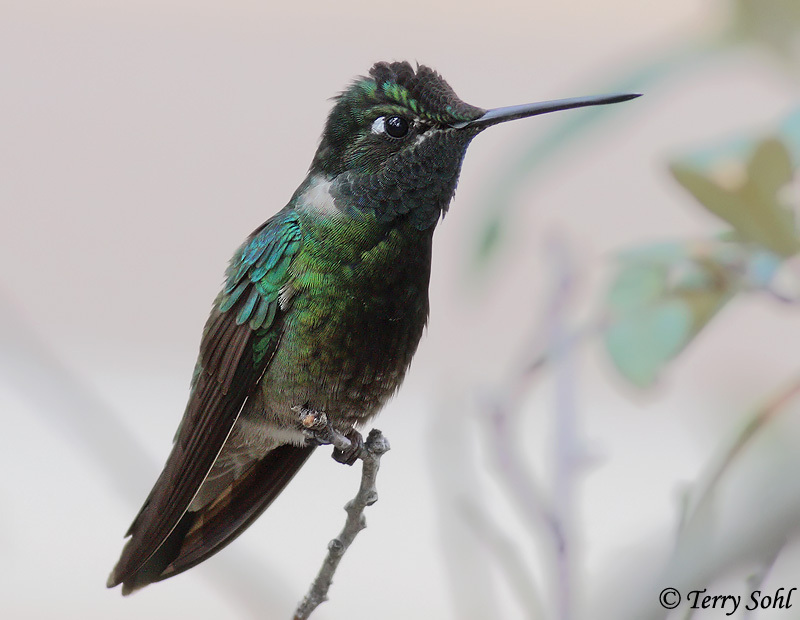 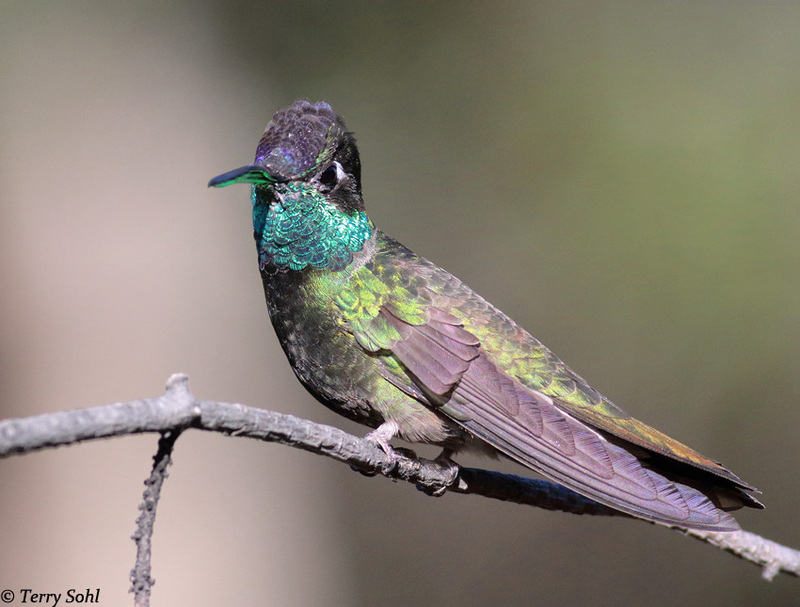 There a strikingly large hummingbird, and one that can look deceptively plain and dark overall...until the light hits the feathering just right. 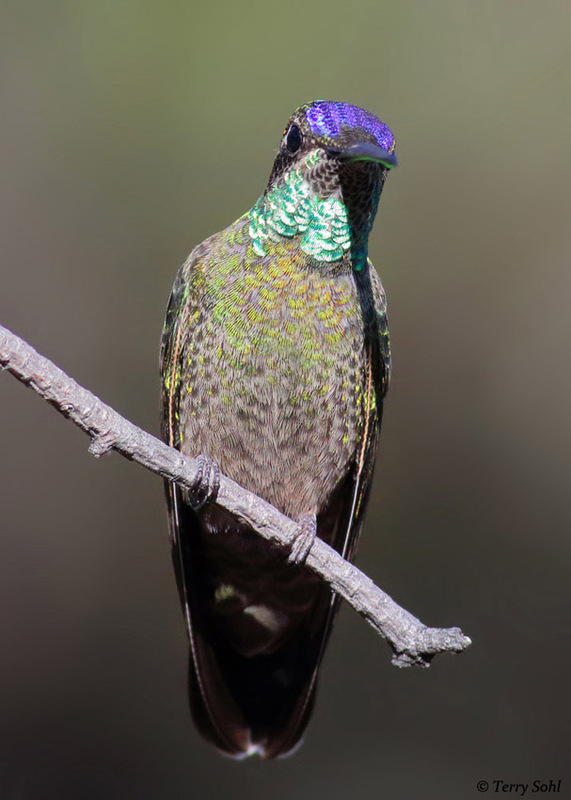 I can't say as I have that perfect Rivoli's Hummingbird photo, where the lighting shows both that gorgeous aqua green throat and the purple forehead, but the one below at least captures some of that coloring. 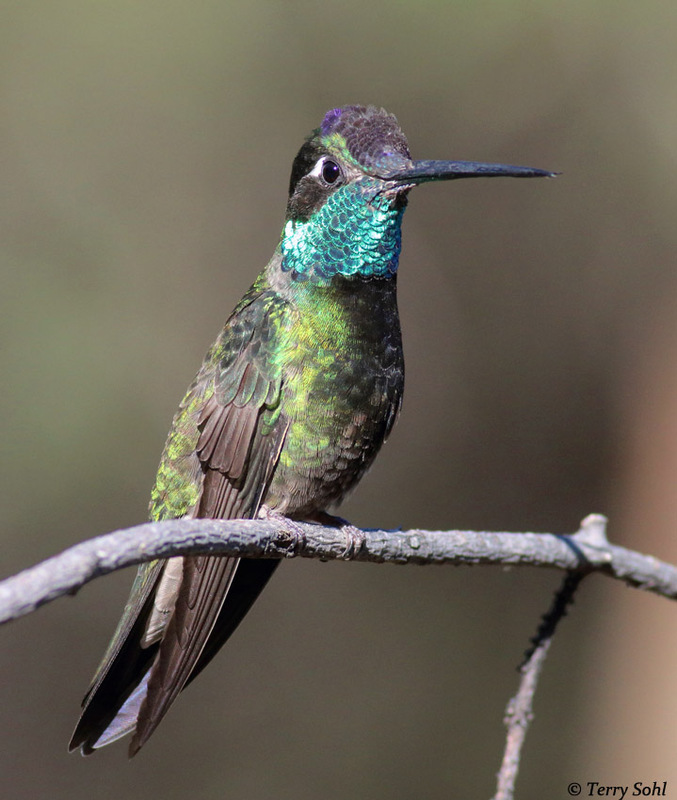 Nearly all the photos below are from Madera Canyon in Arizona, south of Tucson. 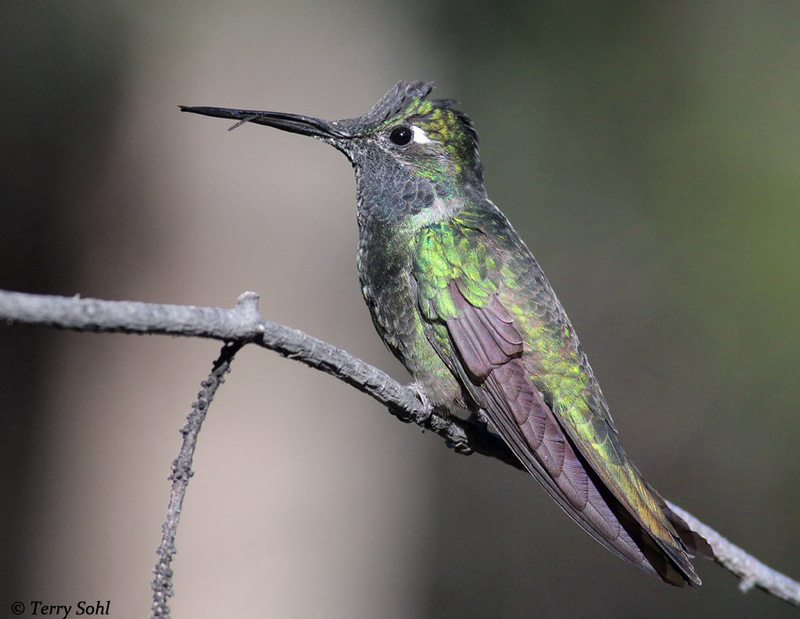 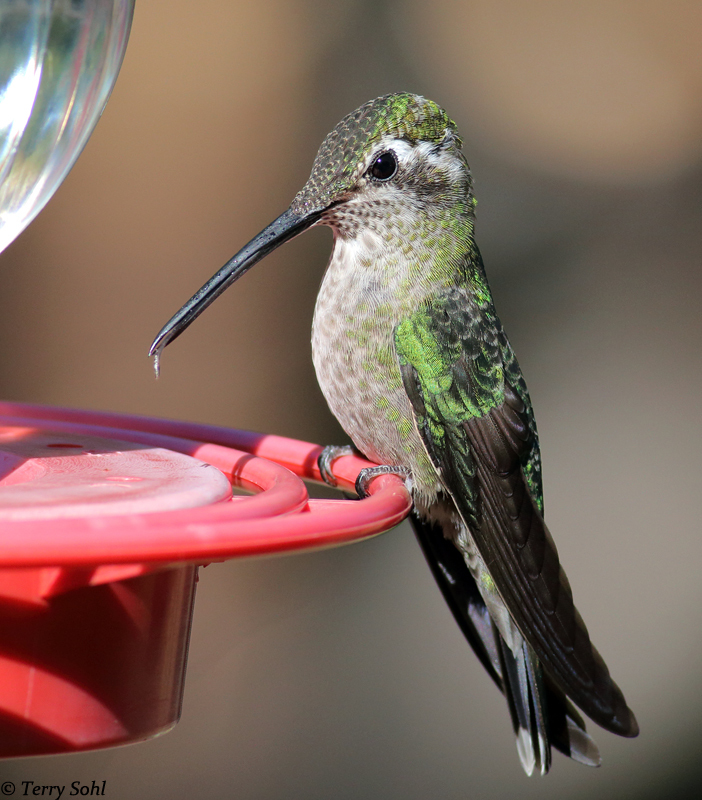 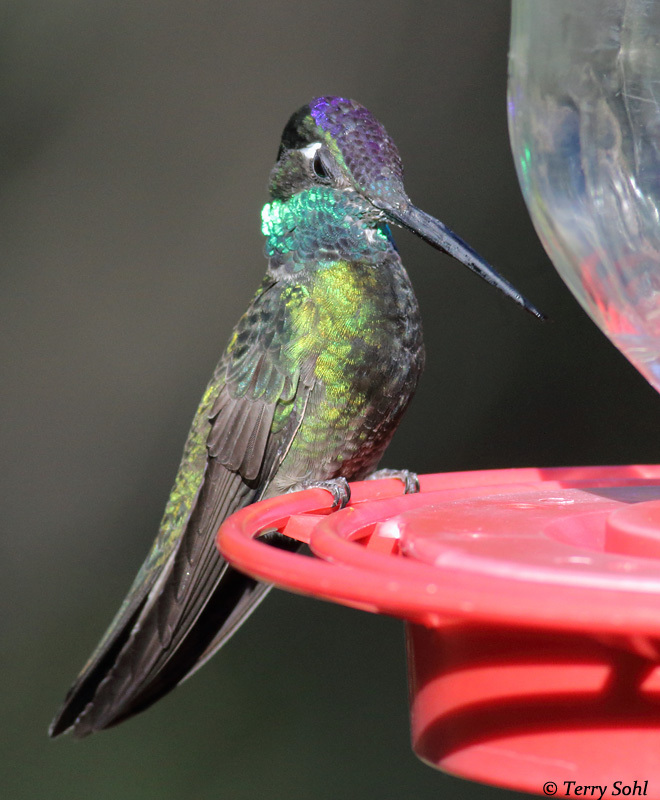 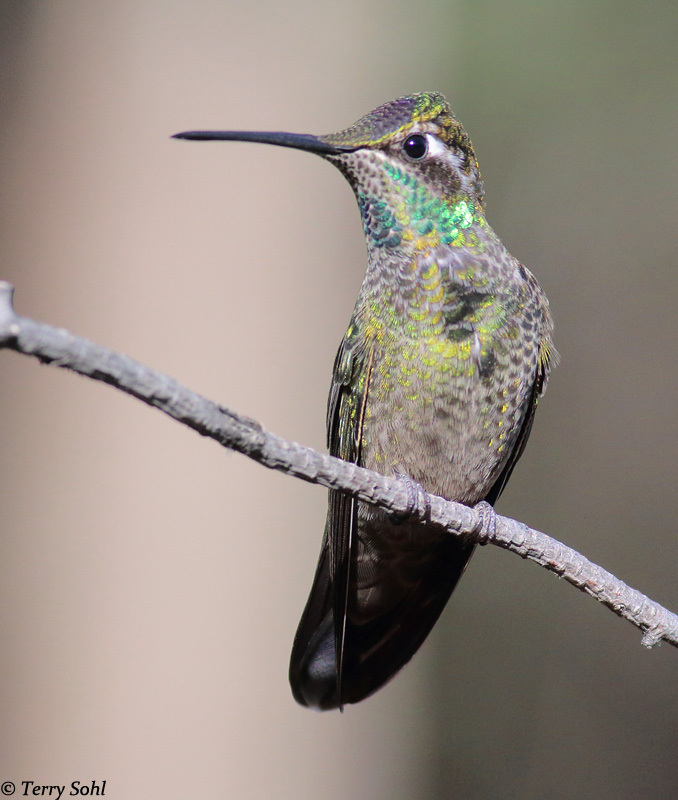 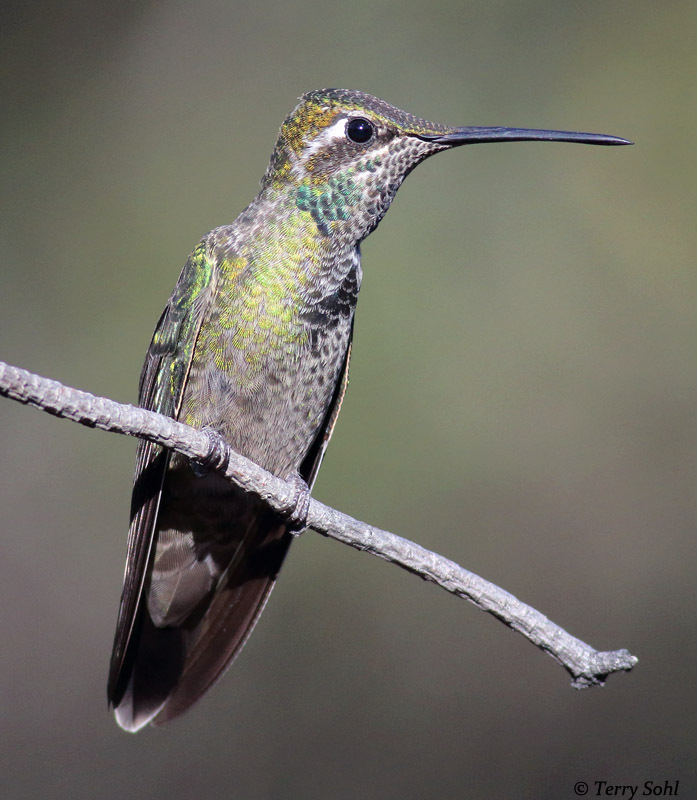 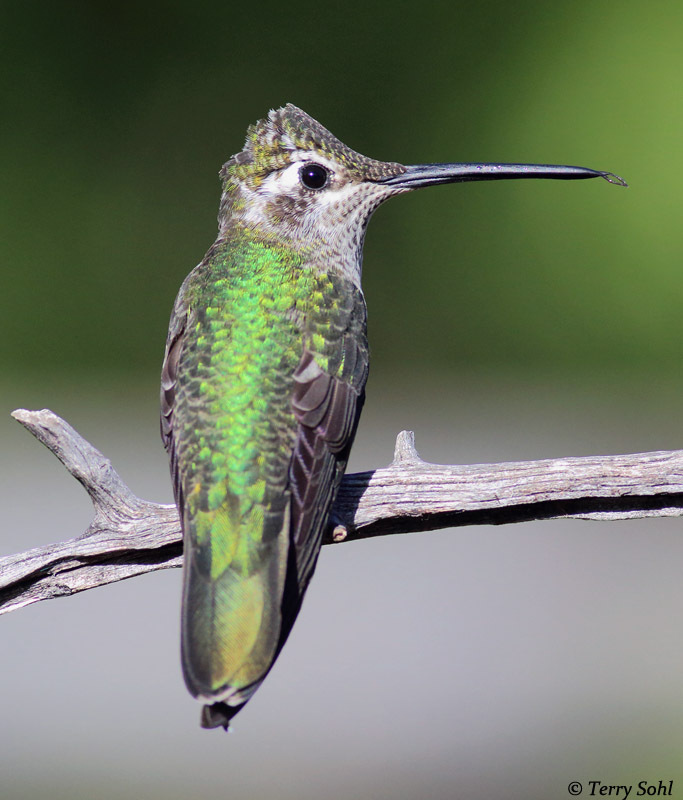 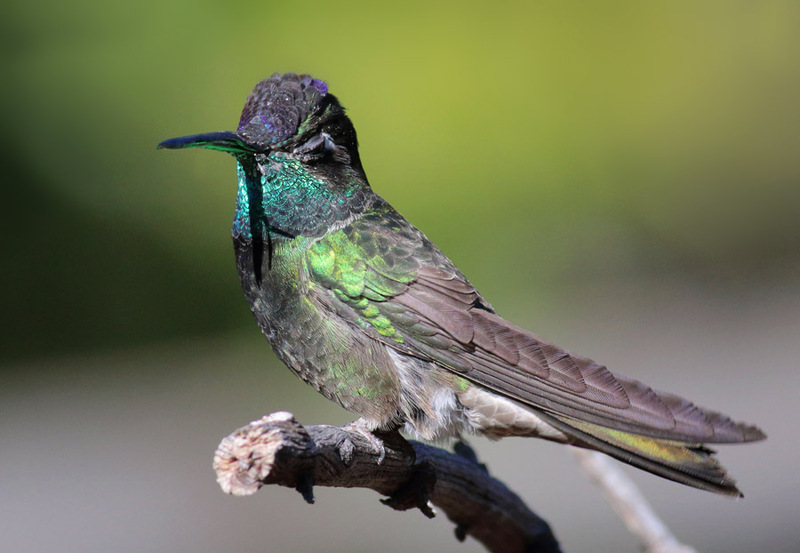 Click here for the species description page for the Rivoli's Hummingbird.